I've studied colour and light over the years and have many books on this topic. 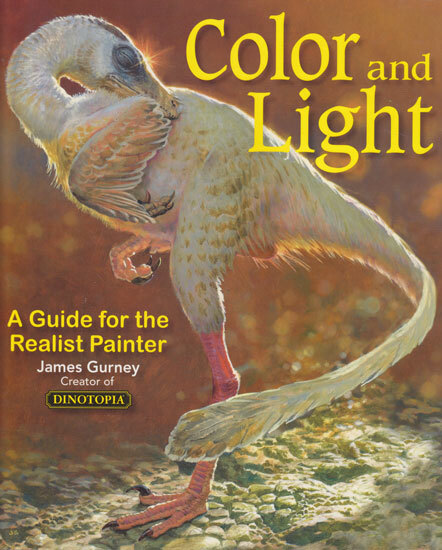 However I've never ever come across a book which tackles this topic in such a comprehensive and authoritative way as James Gurney's new book Color and Light: A Guide for the Realist Painter. Here's my review of this brilliant new book - which in my honest opinion is set to become a standard for all artists working in the realist tradition. Synopsis: This is a comprehensive art instruction book about all the important aspects colour and light for students of art and those wishing to improve the quality of their painting in any media. It addresses the FAQs about these topics raised by painters and illustrators. Summary review: HIGHLY RECOMMENDED - This is a book for students and improvers and all those who want to know more about colour and how light and colour interact - in life and in a painting. Practical application of the lessons learned is made possible through a very accessible text coupled with excellent use of images and graphics. Coverage of this topic is comprehensive. interesting recommended reading list - not one you'll have seen before! Let me be very clear on this point. This book comes very highly recommended by me. I've not come across any other book which covers this topic in such breath and depth and makes it accessible as well. I've got ones which are more technical - but they're much less accessible. 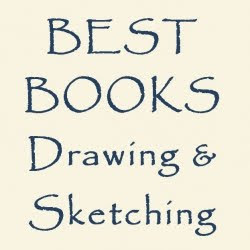 The major plus point about this book is that it is comprehensive and accessible art instruction of a very high order. It does not attempt to dumb down or omit important aspects of the way in which colour and light function and interact. It articulates very clearly how you can make choices about how to use different features of colour and light in a painting. I am so confident about the impact of this book that I am happy to predict that if you buy and study this book your paintings will improve. You can get an overview of what the book covers by reference to the Table of Contents. There's so much one could say about this book - one could write a small book! The table of contents gives you the headings - the summary below is what they actually mean in practice. Here then are some of the more specific highlights of this book and reasons why it makes a good buy. Now I'd extremely surprised if a lot of this is not entirely unknown to self-taught painters. Much much may also only be a vague memory to those with fine art degrees - assuming they were ever taught it in the first place! I first commented on Color and Light in MAKING A MARK: "Color and Light" and Making a Mark. Note: I was sent a review copy of "Color and Light" by James Gurney. I completely agree. I pre-ordered from Amazon, received it and really appreciate the book. He has taken the best information from all the resources out there and combined it with his knowledge earned through years of work and study. When combined with our own direct observation from nature, knowing the "rules" of color light save us from having to reinvent the wheel--we see it, and now we can understand it too. I pre-ordered from Amazon and am still waiting. Can't wait. That is quite a review! How can one resist, I just have to have this one, thanks Katherine!